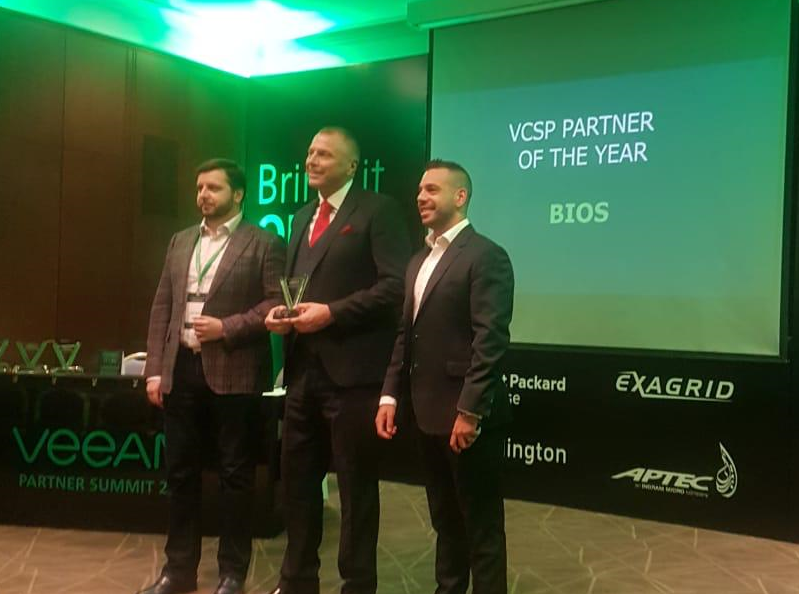 Dubai, UAE, March 18, 2019: BIOS Middle East, the leading Managed Cloud Provider in the UAE, announced that it has been awarded “The VCSP Partner of the Year” by Veeam Software, the market leader in Backup and Disaster Recovery, at the recent 2019 Veeam Partner Summit held in Lebanon. The Veeam Cloud and Service Provider (VCSP) award recognized BIOS Middle East for its Veeam-powered services in 2018 and dedication to enable its clients’ business continuity and the Always-On Enterprise. 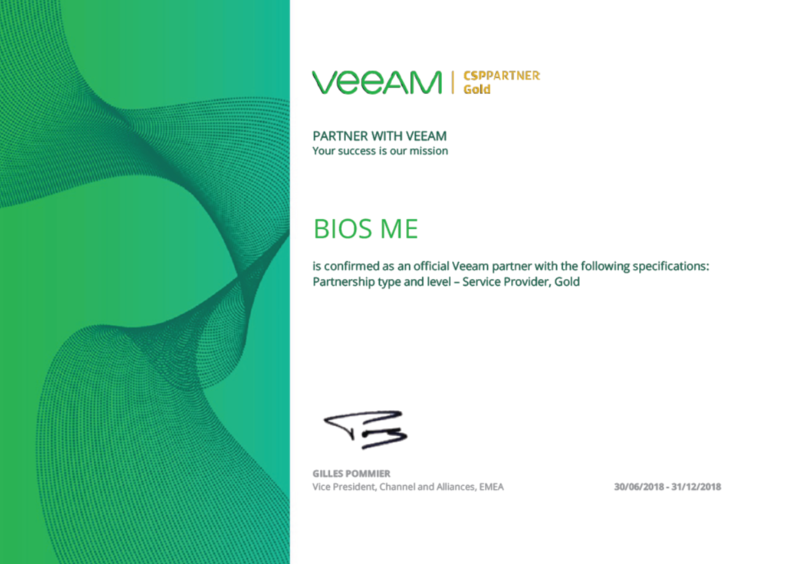 Dubai, 10 October 2018 — BIOS Middle East, a leading cloud and managed services provider, has achieved Gold Status as a Veeam Cloud Service Provider Partner. BIOS Middle East is the first Veeam partner in Middle East to achieve this status. Veeam is a strategic partner of BIOS Middle East for data protection solutions and services. BIOS Middle East uses Veeam software to provide offsite backup and replication from on premises data centres as well as backup and replication within CloudHPT (BIOS’S Cloud brand). Veeam Cloud Connect allows for customers with on premises data centres to back up their servers to CloudHPT over the internet. Flexible pay on demand backup retention's and policies can be implemented on CloudHPT through your local Veeam Console. The first Veeam Cloud Disaster Recovery-as-a-service in the GCCC. If you’re a Veeam customer then you can now seamlessly used Veeam Coud Backup UAE (from) and/or Veeam Cloud Disaster Recovery UAE (from) services from within your installation of Veeam. Using a VeeamCloud service based in the UAE means the latency to your site is very low meaning DRaaS and BaaS will work perfectly. Backup, Replicate, Restore and Run from the Veeam Cloud UAE with Veeam Cloud Diaster Recovery UAE (from) and VeeamCloud Backup UAE (from). As the leading IT Systems and Cloud System in the UAE, we publish helpful information to assist your IT needs and questions. Subscribe to our blog to stay up to date. © 2019 BIOS Middle East Group. All Rights Reserved.